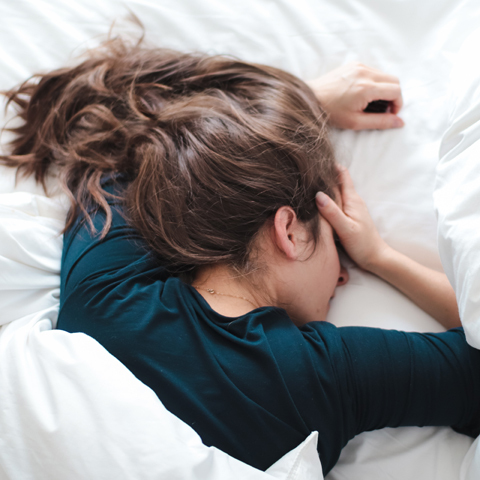 Two new studies on Chronic Fatigue Syndrome (CFS) recently caught my eye. One study pertained to the ongoing question on thyroid hormone function, CFS and the many overlapping symptoms. The second study on CFS and brain inflammation highlights cutting-edge findings and has set the CFS community abuzz with excitement. While these two studies are not directly related, other than that they pertain to CFS, there is an underlying theme here – neuroinflammation and dysfunctional metabolism. These findings provide substantiation on this complex, baffling disorder and further illuminate the need for brain and metabolism support. Chronic Fatigue Syndrome (CFS) is a multifaceted disorder with pieces that are complex and interwoven like a giant spider web. In many regards, CFS looks like thyroid disorder with the fatigue, brain fog, headaches, bowel changes, joint pains, sleep problems, and mood changes, etc. Indeed, many who have been diagnosed with CFS may have been prescribed thyroid hormone in an attempt to find relief and improve energy levels. Thyroid hormone function is affected in CFS, just not in the typical pattern seen with hypothyroidism. In Chronic Fatigue Syndrome, there are endocrine changes due to immune challenges and inflammatory-stress response. There is down-regulation or blunting of hypothalamic-pituitary-adrenal (HPA) axis, which impairs energy production and stress tolerance. The hypothalamic-pituitary-thyroid (HPT) axis is very sensitive to what goes on with the HPA axis, so an issue in the HPA axis may lead to a reduction in thyroid hormone function. Other factors also influence the endocrine system including brain inflammation, autonomic nervous system dysregulation, and low blood pressure. CFS is an interwoven dysregulation of the autonomic nervous system, brain, and endocrine system that is responding to breakdown or collapse of the body’s ability to deal with “straws that broke the camel’s back” or “allostatic overload condition”. The “straws” that precede or contribute to the overload include changes in gut wall integrity, gut dysbiosis, low-grade inflammation, autoimmune inflammation and development of antibodies, vaccination challenges, LPS/lipopolysaccharides toxins and germ gangs, and other infections, etc. Chronic low-grade brain inflammation is also recognized as a contributor. From a symptom viewpoint, CFS looks like a shutdown of metabolism or a hypometabolic response. The shutdown is a persistent response to triggers or total allostatic overload and is an attempt to protect the body from a threat intended to harm or kill cells before the “camel’s back is broken”. Once the threat has passed, the shut-down response does not revert and hypometabolism continues, changing numerous functions with gut and neuroimmune endocrine system. This pattern is thought to cause the decreased metabolic changes seen as diminished T3 levels in CFS patients. It is not a direct thyroid problem, but rather a concern affecting active T3 hormone in the body. This overload leads to a phenomenon of “low T3 syndrome” or a non-thyroid illness in CFS patients. In the March 2018 publication of Frontiers of Endocrinology, 98 CFS patients and a group of healthy adults were evaluated on multiple aspects of thyroid gland and hormone function. Findings ultimately showed that CFS patients had lower levels of free T3 thyroid hormone in the blood stream compared to healthy controls. Low levels of fT3 hormone were thought to reflect even lower levels of fT3 in body tissues and correlated with allostatic load. Some individuals had higher reverse T3 (rT3) which reflected T3 hormone shifting into a non-usable form of T3 because of stress and inflammation. Other thyroid hormone measurements, including thyroid stimulating hormone (TSH), were normal. Additional lab tests showed that CFS patients had lower levels of iodine output in their urine, reflecting lower iodine stores in their body. Less than optimal levels of vitamin D and omega-3 oils were also found. In summary, the findings of low fT3 in circulation and body tissues were present and related with a protective mechanism to buffer against overload. Taking care of the stress overload and support of the available fT3 is a healthy goal. Another much anticipated publication has the CFS community abuzz with activity. Led by Jarred Younger, PhD, Director of the Neuroinflammation, Pain and Fatigue Laboratory and lead author C. Mueller and coauthor J. Lin, they released their much anticipated results on brain inflammation in patients with CFS. The results show remarkable findings that provide great insight into the fatigue and level of dysfunction. These findings are likely to contribute to the overall allostatic load and hypometabolism described above. The January 7, 2019 publication in the Brain Imaging and Behavior Journal tested women with ME/CFS (Myalgic Encephalomyelitis/Chronic Fatigue Syndrome) using a special type of MRI brain scan called Magnetic Resonance Spectroscopy (MRS). This small pilot study showed strong evidence of low-levels of brain inflammation and other neurological findings. With cutting edge technology, researchers were able to measure several compounds and even temperature in different parts of the brain like the thalamus, cerebellum, hippocampus, etc. Results showed elevated levels of choline, lactate, and myo-inositol and increased temperature within several part of the brain. Lactic acid is typically associated with muscle soreness from overdoing physical activity and reflects anaerobic, or inefficient, cell metabolism. In this study, elevated lactate levels were found in several parts of the brain, which is not normal. When it elevates in the brain, it results in severe brain fatigue and marked energy deficits – ranging from fatigue that makes it hard to manage simple daily activities to being challenging to lift your head up off the pillow and get out of bed. This type of metabolism in the brain occurs as the result of immune cells stressed from inflammation. Increased myo-inositol levels were found in the part of the brain called the globus pallidus. This part of the brain controls movement. Glial cells, the brain’s immune cells, normally contain significant amounts of myo-inositol, (a B-vitamin like compound) but don’t release large amounts of it with unless provoked with adverse conditions. Elevated amounts released by the glial cells suggest overactivation and neuroinflammation. Having this part of the brain affected likely contributes to the fatigue experienced with physical movement and activity in CFS patients. Another finding was an increase in brain temperature. Understanding temperature changes in the brain helps to understand inflammation as the brain does not feel pain. In this group of CFS/ME patients, several parts of the brain had increased brain temperature, which was unrelated to body temperature or blood flow. Widespread temperature increases in the brain were seen which was consistent with generalized brain inflammation. Temperature was increased by 0.28 - 0.50 °C compared to the healthy controls. Lactic acid levels and increased brain temperature correlated in three areas of the brain, which suggested chronic low-level brain inflammation and stressed metabolism. Brain inflammation is not a new concept as it was first identified in 2014 and discussed in the article Brain Inflammation Now Documented in Chronic Fatigue Syndrome. Compared to the past report and others, this new study was unique in that it showed adverse metabolic changes with elevated levels of lactate, choline, and myo-inositol and temperature changes in areas throughout the brain. ME/CFS pathology affects the whole brain rather than isolated regions and is the result of chronic low-level neuroinflammation. These research findings are enlightening and helpful and yet can leave those with a complex health disorder feeling overwhelmed. Much can be done to take charge of your health. Here are some additional resources to learn more and to support healthy structure and function of the brain, thyroid, immune, choline, and glial cells.